Help us to spread some Christmas cheer this year! The holiday season is meant to be a time of celebration, however, if times are tough it can be especially difficult. 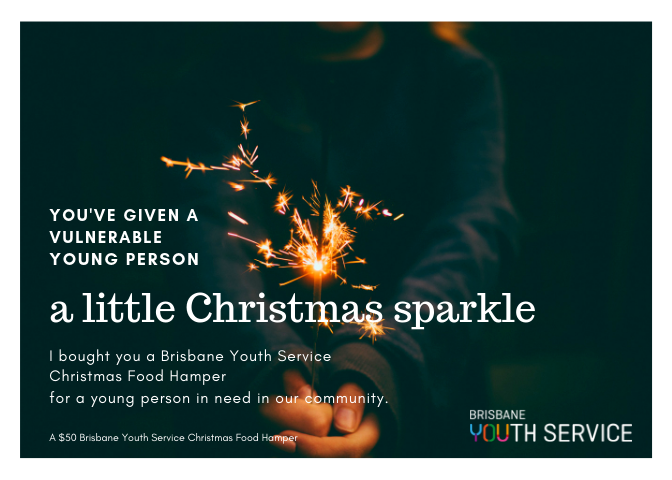 For many young people experiencing homelessness, a Christmas dinner simply isn’t a possibility and the giving and receiving of gifts is an unaffordable luxury. 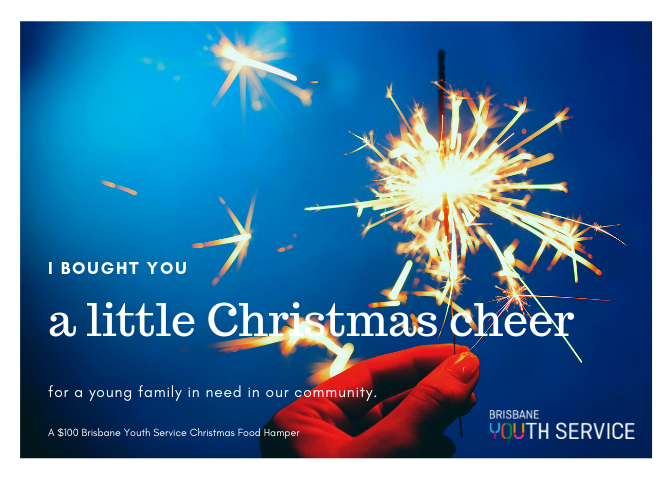 Every year Brisbane Youth Service spreads Christmas cheer by distributing over 300 food hampers to young people and young families accessing our services. We rely solely on donations to provide these hampers which are filled with a mix of non-perishable food items and festive treats. If you would like to help by donating a hamper for a young person or young family, please see below for the required lists of items which can be packed into reusable, canvas supermarket shopping bags. It is important to us that every young person/family gets the same quantity and types of food in their hamper, so please be guided by the lists below. 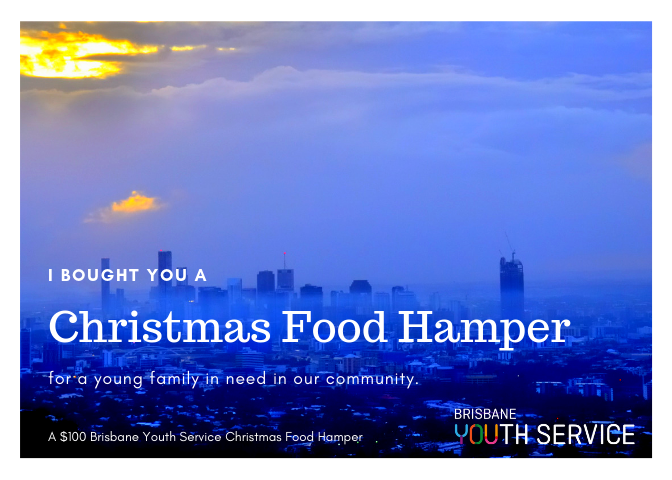 Pre-packed hampers can be delivered to our Valley Hub at 42 McLachlan Street, Fortitude Valley up until Friday 14th December 2018. Unfortunately, donations cannot be accepted after this date. 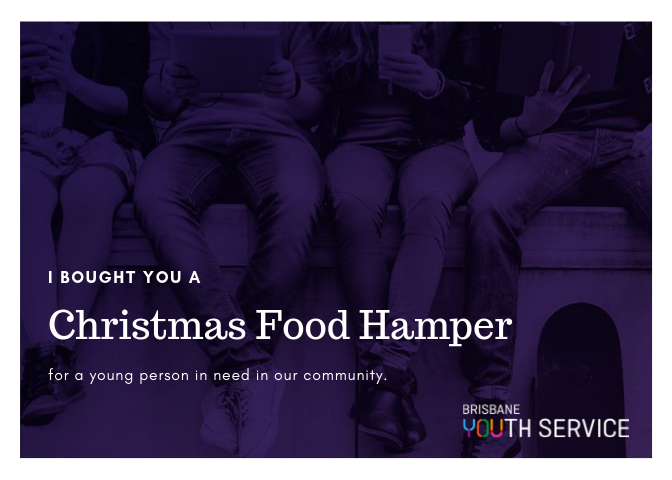 We understand the lead up to the holiday season is a busy time for everyone, so if you don’t have time to organise a collection or shop for food, you may wish to purchase a hamper online for a young person for $50 or a young family for $100. We would also welcome donations of new books, puzzles and games as gifts for the children of young parents who are clients. Reading to babies and small children is so important, not only for their cognitive development but also for their emotional development because of the bonding experience it creates between parent and child. It is something many of the young parents we work with may not have had role modelled to them, so they may not naturally collect books for their children. If you are interested in donating children’s gifts, please contact our Fundraising Coordinator on 07 3620 2428 (Tue-Thu) or at partnerships@brisyouth.org.